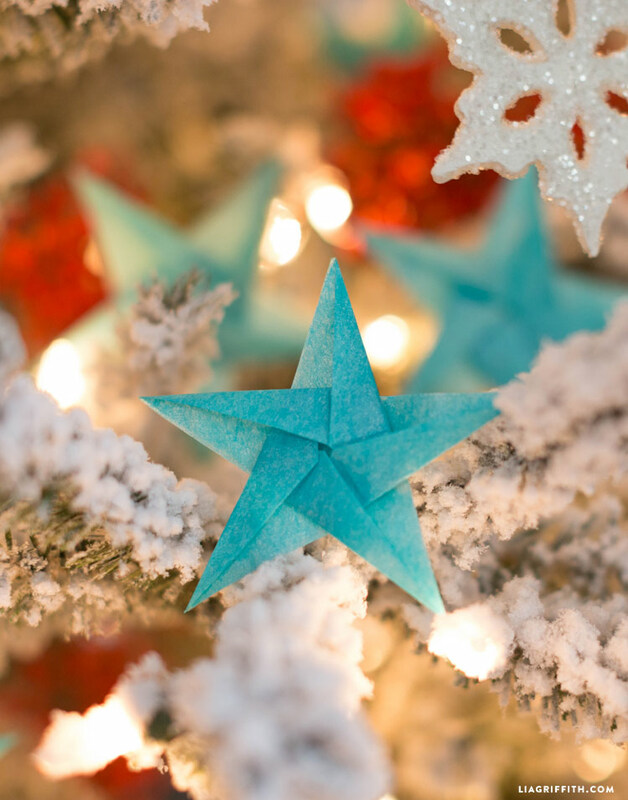 We love exploring the crafting possibilities of using paper to create 3D art, and origami is a really versatile technique for creating DIY holiday decor. 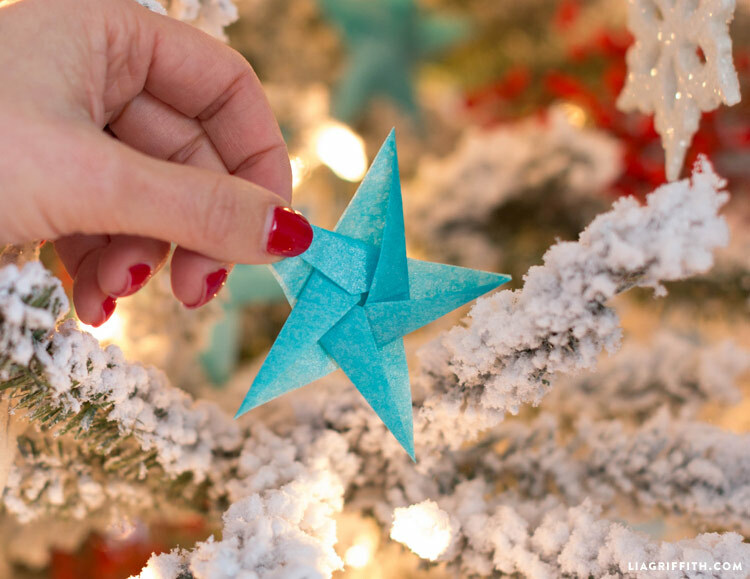 Last year we created simple origami boxes to spruce up your standard string lights, and now we’re showing you how to make these origami stars to fill out your Christmas tree. 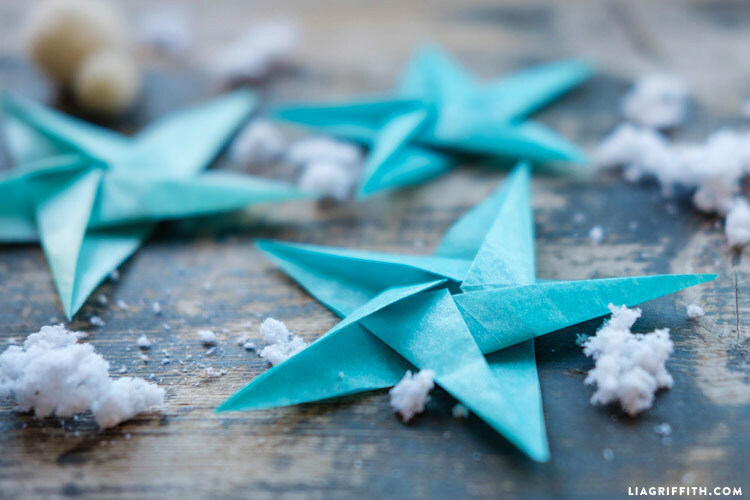 These origami Christmas ornaments are made with tissue paper, but you can also find gorgeous origami paper online or at your local craft store. So pretty! I could do it, it’s a little tricky but I made it :). 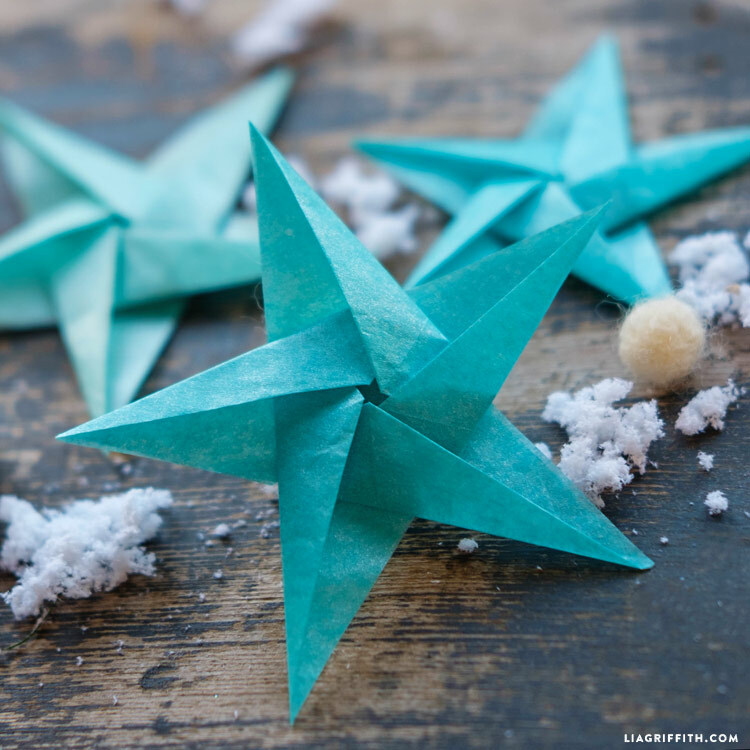 I love and have been doing origami since I was a little girl, so that helped a lot. Thanks for sharing :). I’ve been doing origami for years, and this is one of the less clear instructions I’ve seen. There need to be more photos of in-between steps as well as written instructions for each step shown. 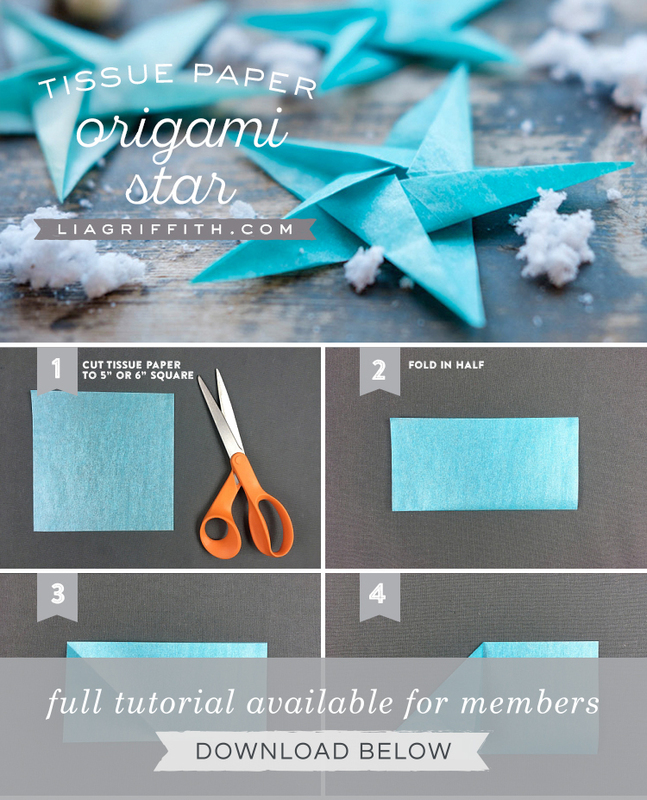 It’s a pretty star, but these instructions make it very difficult to actually make the star. 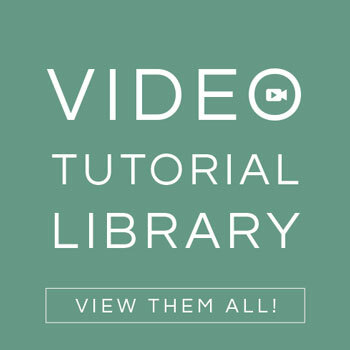 Its true, there are so many lovely tutorials by true origami experts! We did our best, as this was a tough one to photograph. 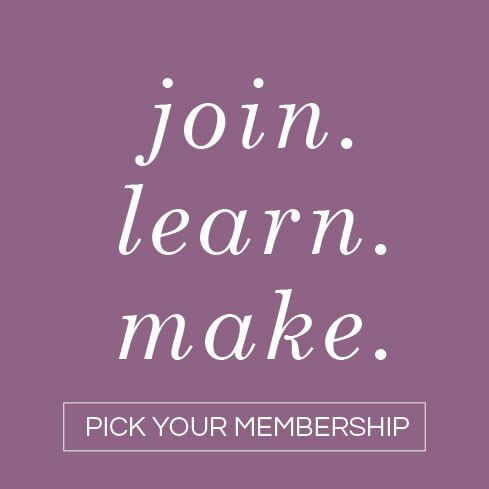 Good point– I edited the photo template to say: cut in step 1, and fold in step 2. Oh good, I’m glad you found a video that helped! Hi Jodee, thanks for your comment. 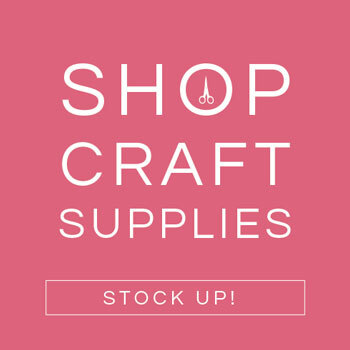 I’m sorry it’s confusing– origami tends to be a bit more complicated! We certainly didn’t invent this method and have found a few useful videos online, you may be able to find one to help with those tricky steps. very nice stars indeed ! I do like very much the colour ! thanks for making my day.